I had the Opti Coat Pro+ applied to my new 2017 Super Duty and not sure what I need for the maintenance. Right now I have Opti Coat No Rinse and the hyper seal that I use on it as instructed by the dealer that applied the coating. Wash with ONR then spray with hyper seal and dry. But I want to get bottles to leave in our camper to use when we are away from home. Do I want the Opti Coat No Rinse or the ONR Wash and Shine or the ONR Wash and Wax and are they all basically the same thing? In the Opti Coat Store the Opti Coat No Rinse is listed under maintenance and the ONRWS and ONRWW is listed under the cleaning so I confused on what to get. Whatever is the right produce to use on the truck can I get some of the same benefits by using it on our boat and Jeep that has not had the coating installed on them? For regular maintenance the Opti-Coat No Rinse is the best choice, even on the non coated vehicles. 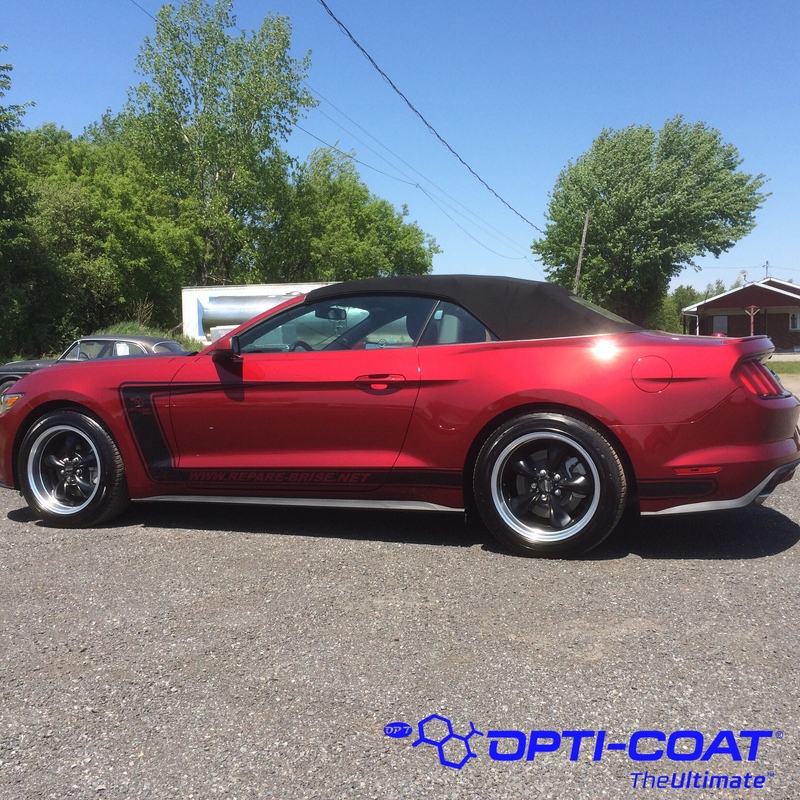 The Opti coat maintance line was specificaly designed for Opti coated vehicles that is why Opti coat no rinse is the best option. That being said...cost wise...you can still use the old optimum line ( onr and onrw&w) without a problem. I would personaly use the blue onr and seal it with hyper seal every week. Thank you both for the replies, so since it doesn't take much of the Opti Coat no rinse I may as well get that to clean the bugs off of the truck, camper and cleaning the boat. I don't see any of the product that specifically states to use on fiberglass, any recommendations? So far I'm liking the fact I can wash the vehicles in the garage after it gets dark when I have time and the shine is great even on the Jeep that hasn't had a coating applied. Really depends on what you are looking for. 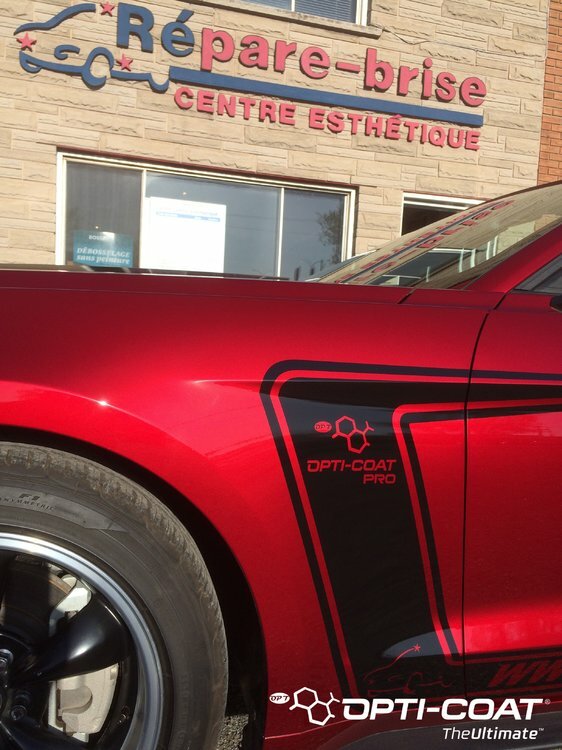 Opti Coat has more slickness and gloss enhancers. ONR does not. ONRWW contains wax in it. So it comes down to personal preference. You could always buy a small 8 oz bottle of the other two and see which you like the best. Thanks, I already have a spray bottle mixed up for the bugs, but that not strong of a mix , I'll have to add a little to it. The fact that you can use it the Opti products on all of the surfaces is really a plus. Thanks for the info, I think I'll stick with the Opti coat ONR and the hyper seal so far I love the results. I have had the truck two months and so far have received more compliments on this truck after having the Pro+ coating then any truck that I have owned. Everyone notices and comments on the shine. Love that shine...and that color! Thank you, it's not to bad for a work truck! That Ford Ruby Red is an amazing colour. If you get a chance to park beside another Ford with the same RR paint code you will see the difference Opti-Coat Pro + makes. Here are a few pictures of my Ruby Red Ford.